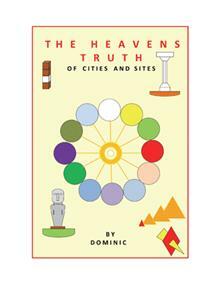 The Heavens Truth of Cities and Sites by Dominic Book Blast – Win a $25 Amazon Gift Card! When you purchase my book, you will see things never seen before. If you are interested in how we got here and when and why things were done in days gone by, then you will see that the ancients of the world made things for someone in the future to discover their meanings. This book will assist anyone who has interest in the ancients of our world, to learn their meanings and reasons for doing what they done. 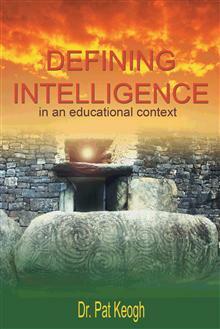 There are many ways of uncovering mysteries, and hopefully, this book will help us all to understand. He has finally given to the world the truths of the works done by the ancient peoples of the world. It will be very interesting for the world and will be of interest to people for discovering meanings of future finds from archaeology. There is more to come. Dominic is giving away a $25 Gift Card! This giveaway begins August 24 and ends on September 4. Winners will be contacted via email on September 5.
first hearing it said years ago. Its sentiment has never left me. to like it “enough”. I pleased those around me. And I kept busy—very busy. already found. I just hadn’t found a way to put it all together. I discovered writing as a teenager while playing in a band. went off to engineering school and subsequently a career in the profession. only do I have a keepsake for my family but a novel I want the world to read. 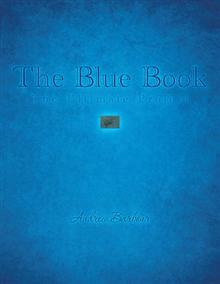 The Blue Book; The Ultimate Project is the Terrestrial Non Human Project to introduce us to their existence alongside us on this Planet. With unique photographs of interaction between a variety of Craft, also including arrivals and departures. It’s time to know! Andrew is giving away a $25 Gift Card! This giveaway begins August 10 and ends on August 21. There is not much known about Spain during Francisco Franco’s dictatorship from 1939 to 1975. Tourists began to travel to Spain after the end of the Second World War and experienced well-dressed people walking the streets, sidewalk cafes filled with tourists laughing and talking as they enjoyed good food and good wine. Spaniards were reserved but friendly and looked content. What the tourists did not know was that Spaniards in the cities HAD to dress well. Men were made to wear full suits with tie and jackets, women had to wear skirts and dresses or blouses with sleeves to the elbow. What tourists did not know as they ate tapas and tasted wine was that thousands of Spaniards were being tortured and executed in Spain’s prisons every day. What tourists did not know what that Spanish children were being brainwashed every moment of every day in schools and churches to listen at home for any talk against Franco, and report this to the police. What tourists did not know was that at the end of the war pregnant women had been executed in prisons before giving birth because the state could not wait nine months for the executions of the mother. What tourist did not know was that most poor Spaniards were starving, afraid of being carried to prison and tortured and executed for the least suspicion that they may still hold ideas of a democratic government. The story goes on forever. After the war, a Franco appointed king simulated a democracy with a constitutional monarchy. A law was passed demanding silence of any of the events during Franco’s dictatorship. Franco’s criminals who had killed, raped, and tortured thousands and thousands of Spaniards were never charged for their crimes. The people of Spain were not allowed to remember, speak or share any of the tragic events that happened to them, or to their families or friends during the tragic years of Franco’s dictatorship. This law was supposedly imposed to prevent any further bloodshed in the country. 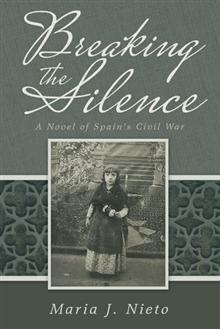 My book, Breaking the Silence, attempts to do just that: break the silence of what happened in Spain during the Civil War, and what happened after the war. It is narrated in story form from the emotional point of view of a six year old child, and using fictional characters. It is the story of a small girl with emotional problems caused by an absent mother, and living through the horrors of the everyday war as she watches friends torn apart and decapitated by bombs and enemy fire. It is the story of a little girl after the Civil War, brainwashed by Franco’s psychological techniques making her commit an unpardonable act. An act for which she must pay. 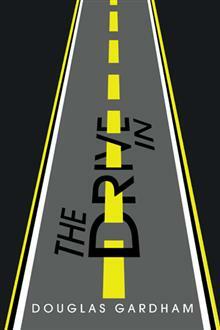 The Drive In by Douglas Gardham Book Feature! 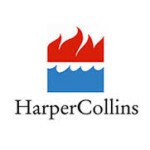 The Drowning God, a paranormal thriller by James Kendley, is one of 30 projects selected out of 4,563 submissions for Harper Voyager’s new digital-first expansion — release date July 28, 2015! Detective Tohru Takuda faces his own tragic past to uncover modern Japan’s darkest secret–The Drowning God. Few villagers are happy when Takuda comes home to investigate a foiled abduction, and local police enlist powerful forces to shut him out. Takuda sacrifices his career and family honor to solve the string of disappearances in the dark and backward valley of his youth, but more than a job is at stake. Behind the conspiracy lurks the Kappa, a monstrous living relic of Japan’s pagan prehistory. Protected long ago by a horrible pact with local farmers and now by coldly calculated corporate interests, the Kappa drains the valley’s lifeblood, one villager at a time. Takuda and his wife, Yumi, are among the few who have escaped the valley, but no one gets away unscarred. When Takuda digs into the valley’s mysteries, Yumi’s heart breaks all over again. She wants justice for her murdered son, but she needs an end to grief. Even if Takuda survives the Kappa, the ordeal may end his marriage. With Yumi’s tortured blessing, Takuda dedicates his life to ending the Drowning God’s centuries-long reign of terror. He can’t do it alone. A laconic junior officer and a disarmingly cheerful Buddhist priest convince Takuda to let them join in the final battle, where failure means death–or worse. The journey of these three unlikely warriors from uneasy alliance to efficient team turns THE DROWNING GOD’s mystery into an adventure in friendship, sacrifice and courage. The continuing story of Lt. Jeff Lacy is dangerous and sad. 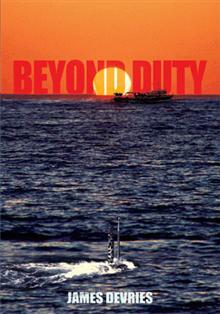 The story opens with Jeff’s participation in a Top Secret mission to observe Russian Submarine missile tests. When he has a change of duty station Jeff lands in the middle of a dangerous plot and his beloved wife Molly is killed. In despair Jeff retires from the Navy and soon finds himself working as an agent for the CIA in the United Arab Emirates. While there he becomes partners in the Mid East Construction Company which leads him into unexpected and interesting situations. Jeff finally tracks down Molly’s killer. Lt. James DeVries, USN, Retired, served 21 years in the Navy, 10 years in the submarine force and time in Special Warfare. The last year was with a Navy SEAL platoon setting up and operating a training facility on the island of Crete in the Mediterranean. Jim’s retired years have been spent working as an International Field Service Engineer and 16 years for Fluor Daniel, Inc. as a Project Manager. Now fully retired Jim spends his spear time involved with amateur radio and writing. Jim and his Red Headed wife Claire live in Salem, Oregon in the summer and Mesa, Arizona in the winter. 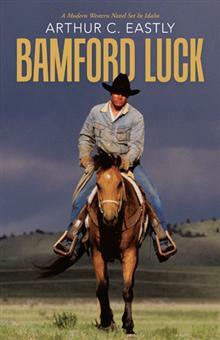 Bamford Luck by Arthur C. Eastly Book Blast! Twenty-eight-year-old Clay Bamford mistakenly thinks he is just bidding his parents farewell for a short time as they depart their Idaho ranch for a vacation. As their RV heads down the road away from home, Clay has no idea that in just a short time, his parents will be murdered and he will be left attempting to solve the crime. Luong An Chie’n—the patriarch of a Seattle Asian gang—is intent on doing whatever it takes to ensure he remains successful as a drug smuggler. When fate leads a few of his gang members to an encounter with the elderly Bamfords that ends in their untimely deaths, he is clueless that Clay Bamford has begun his own mission to find the guilty parties. Using his United States Army training, work ethic, and country boy toughness, the son hacks computers, intercepts e-mails, and infiltrates the gang. Determined to crack the crime operation, Bamford will stop at nothing until he finally leads police to a fish market—and what he hopes are the answers. In this gripping tale, an Idaho rancher attempting to solve his parents’ murder uncovers a major drug operation in Seattle where only time will tell if he finds the justice he so desperately needs. Findependence Day by Jonathan Chevreau Book Blast! Get rich slowly! Financial independence is a marathon, not a sprint. The financial crisis revealed the hazards of financial illiteracy. Governments desperately want citizens to become financially independent so they’ll be less of a burden on them. Findependence Day presents personal finance in a “can’t put down” story format easily digested by young adults entering the work force and the world of money. Because money problems often cause marital breakups, it focuses on the financial journey of a young couple who experience the usual ups and downs of job loss, buying homes, raising children, investing and pensions, starting businesses, coping with stock market volatility and more. • Newlyweds embarking on family formation will discover the importance of financial planning. • Home-owners will learn the foundation of financial independence is a paid-for home. 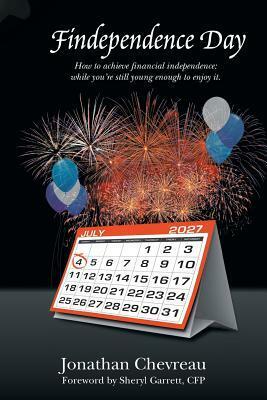 • Those in their first jobs will embrace employer 401(k) plans, traditional IRAs and Roth IRAs. • New parents will discover the need for life insurance and saving for children’s education. • Mid-life investors will learn how to cut costs in their portfolios while benefiting from the expertise of financial planners. • Those near retirement will learn about advanced concepts like annuities and Asset Dedication. Jonathan Chevreau is the editor of MoneySense magazine, former personal finance columnist for the Financial Post and author of nine financial books, including The Wealthy Boomer: Life After Mutual Funds. He’s active in social media and blogs at http://www.findependenceday.com. This revised all-American edition features end-of-chapter summaries of financial concepts learned, a glossary and bibliography of books that will boost your financial literacy – or that of your kids. Jonathan Chevreau was an award-winning personal finance columnist for the Financial Post and National Post newspaper between 1996 and early 2012. He is now the editor of MoneySense magazine, Canada’s leading personal finance consumer magazine. He lives by the lake in Long Branch, Ontario. On a good day he can see Rochester. He has previously authored or co-authored nine non-fiction financial books. They include the Smart Funds series and The Wealthy Boomer: Life After Mutual Funds (Key Porter Books); and Krash! (McGraw Hill.) In 2012, his first e-book was published by National Post: The Best of Jonathan Chevreau. He blogs at http://www.findependenceday.com. He is active in social media, tweeting as @JonChevreau, as well as Facebook, Linked-in and Google Plus. How to get other editions of Findependence Day The e-book you are reading is the all-American edition of Findependence Day, published in 2013. The original North American edition, published in 2008 only as a traditional printed book, can be purchased via PayPal and major credit cards through the web site at http://www.findependenceday.com. Jonathan is giving away a $25 Gift Card!